Reverend Bishop Joseph Kalema is the Founder/Visionary of Joseph Kalema Ministries Inc., which encompasses Pentecost Restoration Ministries Int’l in Nairobi Kenya together with Nairobi Dominion Assembly Church. He is a dedicated husband, father, pastor, and spiritual father to many all around the world. He is married to the Rev. Mrs. Catherine Kalema. 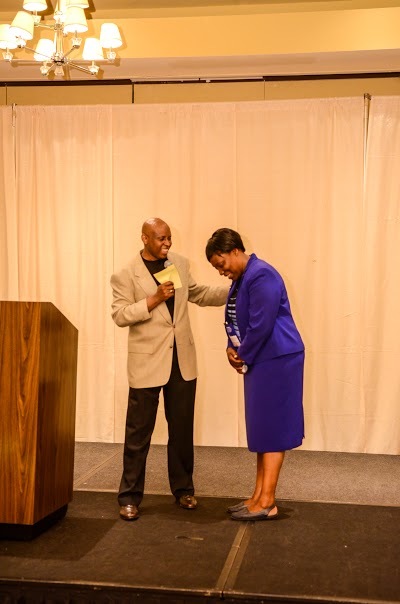 Together they are currently serving God in the USA and founded Christ Dominion Life Church in Brookfield, Connecticut. Bishop Kalema was born of Catholic parents and, at the age of five, he was called to serve God as a Prophet and Apostle to the Nations. He started his life in Ministry while in a Catholic Monastery, where he was training to become a Catholic Priest. Upon completion of Minor Seminary, he served as a Junior Priest while waiting to go to Major Seminary to be a full Priest. It was at this time that Jesus Christ saved him. Bishop Joseph Kalema has served as a Social Worker in the Government of Uganda, the African Foundation (Non – Governmental Organization in Uganda). He has also served as a National Evangelist, Youth Pastor, and as a Purchasing and Clearing Officer for over 600 churches under the United Pentecostal Churches International in Uganda. Throughout their calling, Bishop Joseph and Rev Catherine Kalema have remained true and faithful in taking God’s Message to the Nations. They founded and incorporated Morris Cerullo World Evangelism School of Ministry – Uganda and Morris Cerullo World Evangelism – Kenya respectively, and served through and with Morris Cerullo World Evangelism for over 30 years, as Uganda National Director and Regional Director for East Africa, both in Nairobi, Kenya and thereafter (and currently) as associate Ministers of MCWE. They subsequently moved on to pioneer Pentecost Restoration Ministries International and Dominion Assembly, Nairobi, Kenya. The Kalemas believe in mobilizing and preparing individuals for integral leadership roles within the Body of Christ, by empowering individuals to activate their Gifting and Call to the fullest potential as they walk in their prophetic destiny. Through conducting crusades, leadership and workers seminars, Family of Excellence Conferences, and Prophetic and Intercessory Conferences — to name a few — many have indeed been blessed as their experiences unfold. 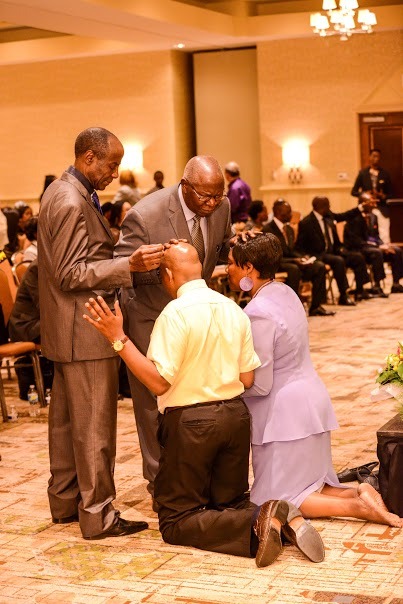 Bishop Joseph Kalema is currently the Executive Pastor of Christ Dominion Life Church located in Connecticut, USA. They minister with a passionate vision; preaching and teaching with a father’s touch and stirring faith in the believer and unbeliever. Bishop Joseph Kalema has been commissioned by God to take God’s Message around the world for restoration of broken foundations in the body of Christ by rebuilding family altars of prayer and intercession, restoration of the Holy Spirit experience, and encouraging people to heed the believer’s call for His Name’s sake. The call of God upon his life has taken Bishop Kalema through various nations in Africa, the United States, Canada, the Middle East and Europe, and the Far East (Phillipines & Taiwan), ministering healing to the sick, deliverance to the oppressed, and giving encouragement to those seeking Christ. Through him, God has been manifesting Himself through demonstration of His healing and miracle-working power with signs and wonders following. Bishop Kalema is committed to passing the anointing upon his life to many nationals who are believers, restoring prophetic intercession in the Body of Christ in these last days, and winning lost souls to Christ. They are blessed with five children: Isaac, Jonathan, Joy, Oliver Mbabazi, and Flavia Murugi. The Lord added to family another adopted daughter Gloria. So we were updated to six children and two grand children. Joseph Kalema Ministries Inc. ‘s spiritual covering is New Covenant Christian Ministries ( NCCM) Worldwide, based in Bronx NY. In addition, JKMI is a longtime partner of Morris Cerullo World Evangelism ( MCWE), San Diego CA. The Kalemas hold Morris Cerullo to be their spiritual father and mentor.